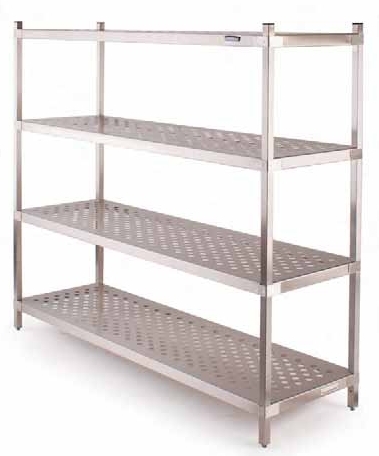 This racking is manufactured from type 430 stainless steel. It is designed for use in cold or dry stores. The upright is made from 30mm square section stainless steel with adjustable feet. The stainless steel shelves have a 50mm downturn and a 15mm return all round. Our unique 'Versiclamp' system holds the shelves securely in place but allows for infinite adjustment to the distance between shelves.